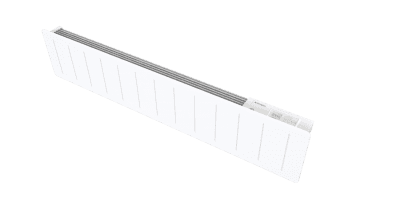 A sleek, intelligent, low-profile electric panel heater. The Saletto features CapSense controls and offers a highly intuitive user interface that allows for complete control over the temperature of your room for maximum comfort. The seven- day timer profiles enable your heating requirements to be pre-set with a seven day programmer and different user profiles such as ‘holiday mode’ that can be used as required. The LCD display and six touch-sensitive buttons enable easy usability and also have an optional sound when pressed, for greater accessibility. The temperature display is also colour-coded to assist the visually impaired. Adaptive start is the Saletto’s intelligent self-learning, delayed start function. This assesses the thermal characteristics of the room and then determines how long the appliance needs to operate for to reach the target temperature. 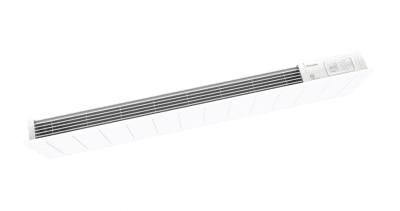 By measuring the heat-up and cool-down rates of the room, and how this varies with external factors, the heater works out what time it needs to start heating to reach the user-defined target temperature at a specified time. This minimises wasted energy and can deliver significant cost savings. Should a window or door be left open accidentally, the Saletto will detect a sudden change in temperature and postpone heating. Once the window or door has been closed, the heater will resume normal operation. 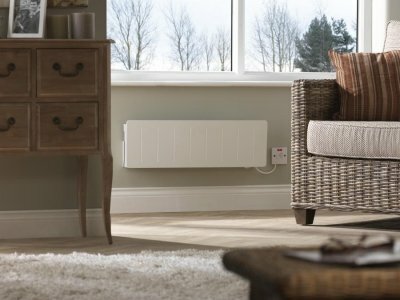 This technology ensures that the output from the heater is reduced when heat is escaping from a room, avoiding wastage and saving you money. The robust steel casing also ensures the heater is splash-proof, enabling use in bathrooms. Thank you for taking the time to leave such great feedback of our service and value. Helpful advice on the phone, confirmation of correct heater, easy to order and pay. Thank you very much for the really great review. Excellent value, easy to set up. Product was reasonably priced, arrived next day on time, was very well packed, worked, was told within the hour when it would arrive, and it did. What more could you ask? Thank you very much for the amazing comments left in your review, it is greatly appreciated. The attachment of the heater to the backplate is dismal. If it's not quite on straight and you want to take it off then the flimsy connections get bent out of alignment. As it is, I cannot remove the heater from the backplate as it seems to be locked. Personal preference; I prefer the grills to be on the front face of the heater, near to the top, rather than at the top of the heater. Great to hear, thank you for the review. Delivered as expected, Instructions were straight forward and product worked as hoped and warmed the room in minutes. attractive looking as well and that was just the heater. 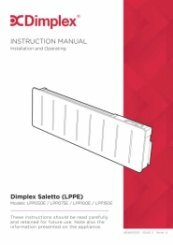 Thank you for the fantastic 5 star feedback of our delivery and your new Dimplex Saletto LPPE Lot 20 panel heater. excellent product. Instructions a bit complicated. Thank you for your great feedback. 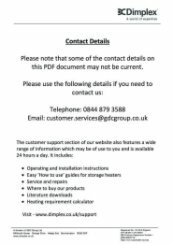 Please call us on 01473 276686 and we will be very happy to help you with the instructions. Easy to order. Excellent delivery service. Thank you very much for taking the time to review our service as 5 star. Easy to place order. Good product. Quick and Efficient postal service. Fantastic to hear, thank you for the great review. Waited a long time for Dimplex to make this heater available but well worth the wait. Very efficient in my conservatory. Very pleased. Needed to phone them for query. Answered quickly and very friendly. Took my order and payment efficiently and my heater arrived tbe next morning! Less than 24 hours after placing order. Brilliant. Would use again definitely. Thank you very much for your really fantastic review of our customer service and efficiency. 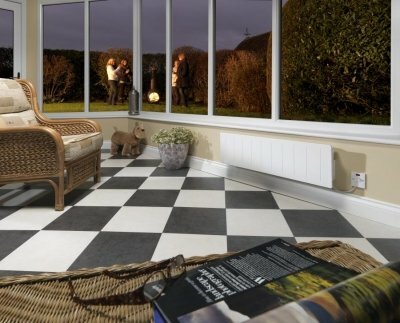 Chose this product to provide background heating in a conservatory. 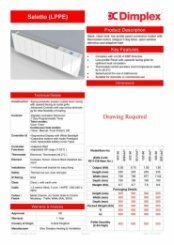 Its short height and relatively low weight (10kg) make it ideal for fitting to a dwarf wall. This heater offers comprehensive timer and temperature controls and it has proven cost-effective to run so far. Very impressed by this product and feel it offers excellent value for money compared with some other heaters. Saying all that, the instruction manual is a nightmare (despite coming from a UK company) but it was relatively straightforward to program the unit in the end. Informative website and competitive pricing. The selected product had gone out of stock but Heater Shop kept me informed by phone and email and reassured me that new stock was due soon. Sure enough, the product was delivered just a day later than originally expected.